Commercial Agreement should now be signed with Mr. Mylles. 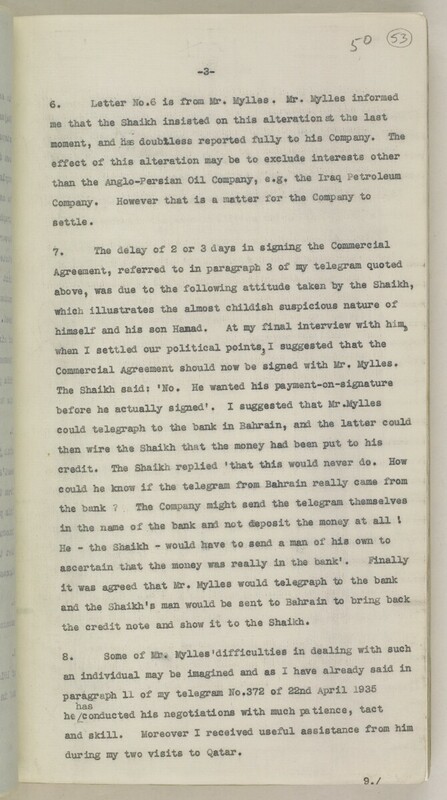 the credit note and show it to the Shaikh. during my two visits to Qatar.